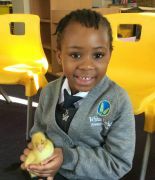 Goldsworthy Class have hatched 5 beautiful, healthy ducklings! 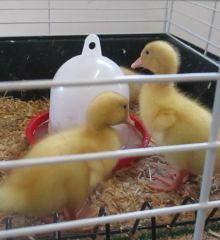 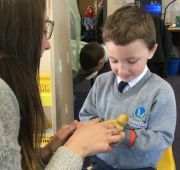 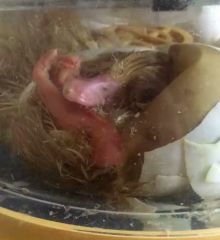 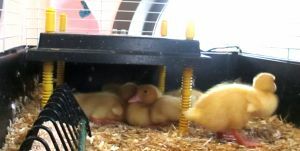 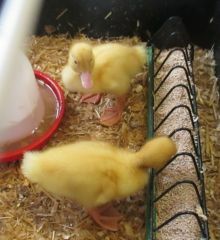 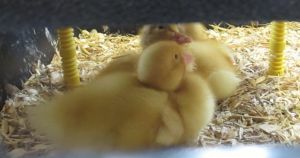 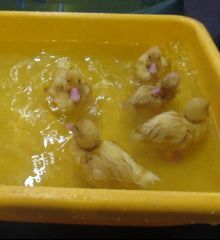 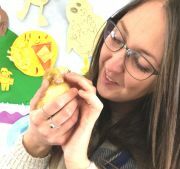 The experience of having the ducklings in the classroom, from seeing them hatch to having their first swim, has been wonderful for the children. 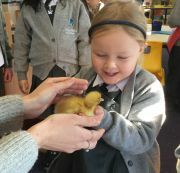 All the children and most of the staff have had a cuddle! 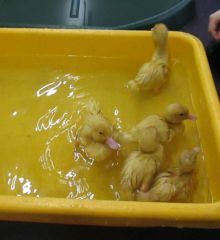 The ducklings thoroughly enjoyed their first swim!